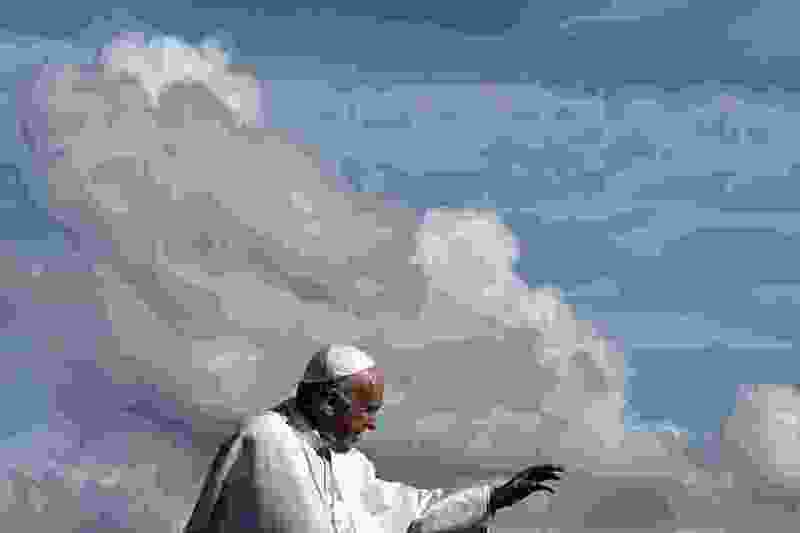 (AP Photo/Gregorio Borgia) Pope Francis delivers his blessing as he leaves at the end of his weekly general audience in St. Peter's Square at the Vatican, Wednesday, Nov. 7, 2018. Vatican City • Pope Francis has decreed that an American religious brother, James Miller, was killed out of hatred for the Catholic faith during Guatemala’s civil war and can be beatified. The Vatican said Thursday that Francis approved a decree recognizing that Miller, from Stevens Point, Wisc., died as a martyr on Feb. 13, 1982, in Huehuetenango, Guatemala. The 37-year-old Miller had been working with indigenous youths as a member of the De La Salle Christian Brothers when he was killed by three masked men.